Whether you hike, camp, hunt or fish, public access is public access! 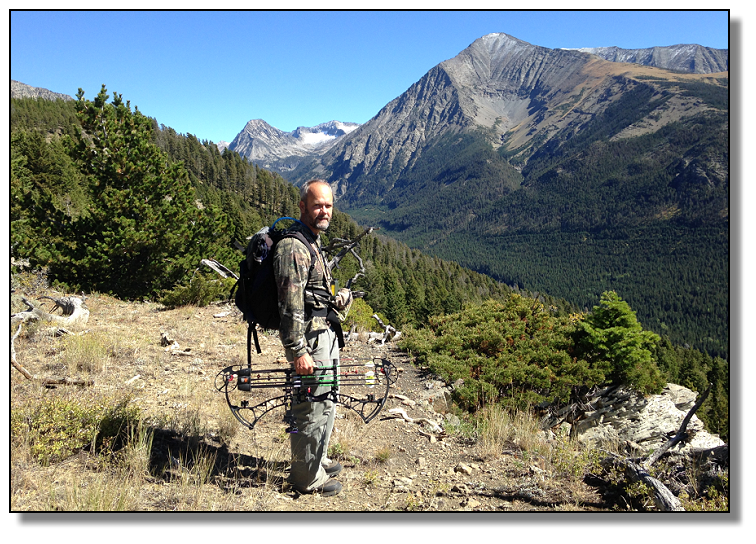 Any funds generated in excess of final court costs, Rob will contribute to MT hunting/angling public access organizations. Elk Hunt District 580 is in the southeastern portion of Montana's Crazy Mountains, in Sweet Grass County. The Crazy Mountains US Forest was established in 1906. 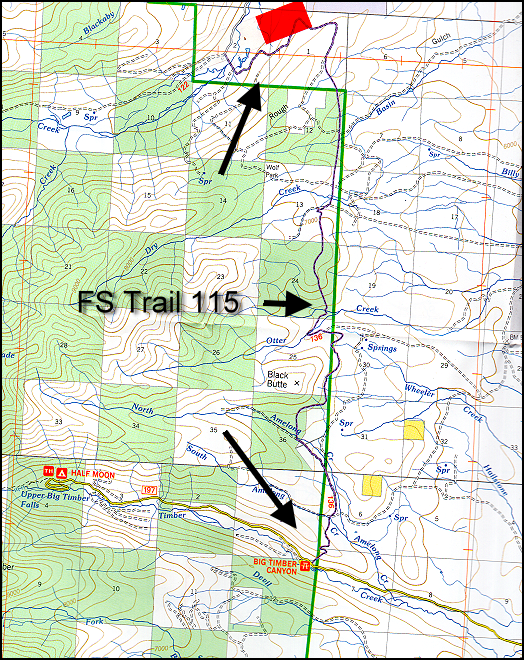 The Forest Service maintains and promotes that FS Trail 115/136 is, and has been for about a 100 years, a public historical access, promoting it on their maps. Montana native, Rob Gregoire, who has been hunting since the 70's, previously scouted for elk on FS Trail 115/136, even utilizing the Avensa app to ensure he was on the correct trail, which passes through Lee and Barbara Langhus' property (they have a rental guest cabin by the trail), encountered no problems. FS Trail 115/136 has been a public FS Trail for about a 100 years with historical documentation and FS trail maintenance logs. FS Trail 115, "... is a century-old trail, part of a century-old trail system that circumnavigates the Crazy Mountains, and connected historic U.S. Forest Service guard stations (many of which are now rental cabins). 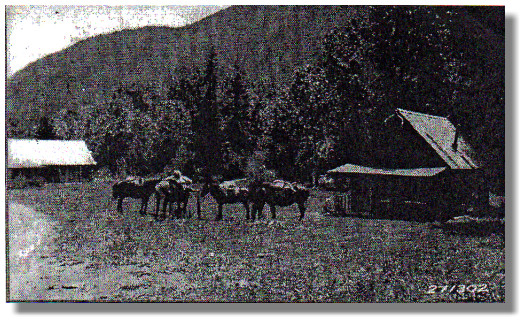 Indeed a Forest Guard Station once existed upon the trail at issue at its juncture in Big Timber Canyon. 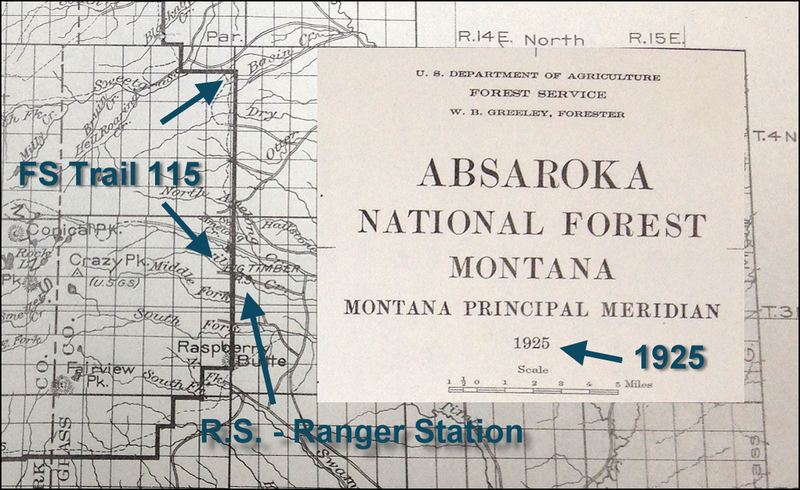 Historically, forest rangers rode their work hitches on this trail system, administering public lands grazing allotments to private ranchers, managing mineral activity, putting up timber sales, fighting fire, and maintaining access for hunting and fishing for all Americans who might seek to use their national forests." The public's use of this trail predates the Langhus purchase by nearly 1/2 a century. Maps below. On Nov. 23rd, Rob went hunting, starting at the Big Timber picnic area. Again he used the Avensa app to stay on FS 115/136 trail. When he returned about 1 pm, he was met by Lieutenant Ronneberg from the Sweet Grass County Sheriff's office, at the trailhead, who cited him for criminal trespass 45-6-203. $585 fine has been assessed. Rob had an appearance hearing in Big Timber in December, in which he pled "not guilty". He now faces an omnibus hearing on March 16, 2017 (date could change, check updates below), in which he will need an attorney to present the case that this is still a public trail. Please help keep this trail public by using the donate button at the top-right of this page. As the trail crests the pass you are faced with a sign telling you there is no easement on this public historical access trail, even though this trail has been used by the public for 100 years. Good news, my trespassing case didn't go to trial. We do, however, have more work to do to keep this trail open to the public. I took a deferred prosecution agreement. While it doesn't have the bang of a "thrown out of court" or "not guilty," the deferred prosecution is about as close to a dismissal as we are going to get with this court. I agreed to donate $500 to the Sweet Grass Community Foundation and in exchange the court won't prosecute me as long as I don't violate any laws over the next year. I admitted no guilt and the record will be expunged in a year. I used my own funds to make the donation. The first thing people ask is how does this affect the status of the trail. Most people are like I was in thinking that if I was found not guilty then the trail would be open to the public. I was shocked to learn that a criminal trial cannot determine the status of the trail. That has to be done with an expensive civil trial. However, under normal circumstances if I compiled enough evidence that the trail was public the county attorney would decide not to prosecute and the sheriff would stop writing tickets. It is, after all, a waste of the court's time to pursue these things if the person won't be found guilty in the end. If the landowner had a legitimate claim that the public had abandoned this trail he could take it up with the Forest Service and leave the public out of it. That would normally be a good strategy, i.e. solve this civil matter in civil court. But not in Sweet Grass County. It turns out that another major landowner has been trying to shut down this trail for years: the county attorney's wife. Now I'm not accusing anyone of anything, and to his credit he didn't have to offer me a deferred prosecution, but he didn't recuse himself from my case. The undersheriff also has family with a ranch adjacent to this trail and the Sheriff's last name is on a ranch just up the road. These things have raised a lot of eyebrows. I'm told it is unusual for the criminal system to be used in cases where the public likely has a right to use the trail. Regardless if that has anything to do with the contents of the previous paragraph, if they are able to block the public from using this trail for another few years we could lose the trail. 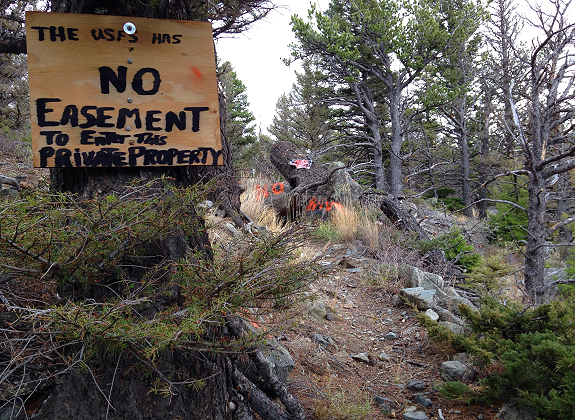 That is why I'm looking into forcing the Forest Service to do its job of protecting this trail. They need to throw down a statement of interest on this trail or find some other way to stop the clock. If we can't get them to take this on then various groups have expressed interest in suing the Hailstone and proving there is a trail easement. I'm certain I'd eventually be found not guilty, but it would probably take an appeal to the District Court and I'm told the Sweet Grass sheriff department will ticket to the next person, forcing them to go through all this again. Pursuing this to obtain a not guilty verdict would waste my time and thousands of dollars that could be better used fighting this matter in civil court. That is the main reason I settled. Settling now allows us to use the $4-5000 remaining as seed money to raise enough to take on the Hailstone if it comes to that. There is so much more to tell, but I don't have the time right now. This story is filled with many twists and surprises. We are making progress and I think we have a good case that this is a public trail. I'll try to get a more comprehensive story written and out to you guys. So, we are beyond the trial and now it looks like the real work will need to begin. 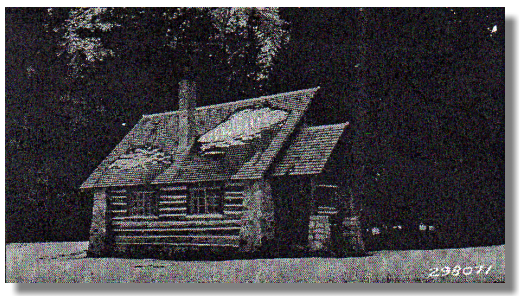 Ranger Station used to sit at Trail 115/136 trailhead. Note packtrain, the site is now the "Big Timber Canyon Picnic Area".